Half-free Morel (Morchella semilibera). 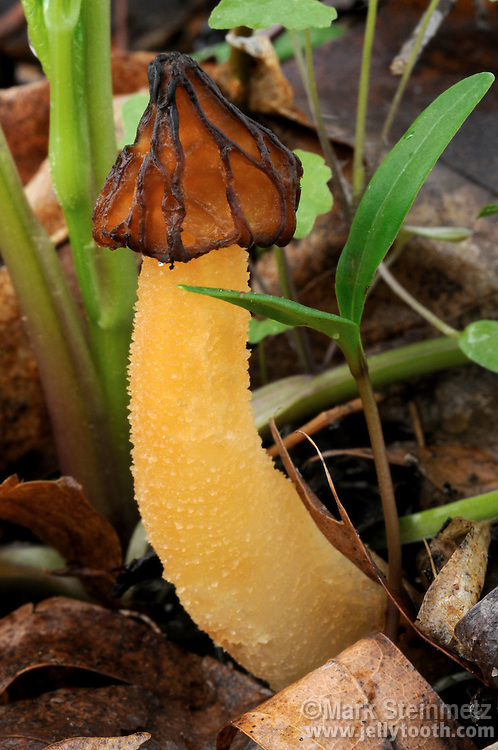 The only "true morel" species with a skirt-like cap whose bottom margin is free of the stalk. Fruits in eastern North America in spring. Franklin County, Ohio, USA. Edible and sought after, but not quite as flavorful as other Morchella species.